For a getaway from the heat of summer, relax in the designer pool at the American Colony Hotel, with its elegant Jerusalem stone and the glint of Italian Mosaic tiles. For a more energetic feeling, try our Technogym fitness room with all the facilities required to stay in shape, and round it off with a sauna or a relaxing massage. Our new pool is constructed from Jerusalem stone, lined with Italian glass tiles and landscaped with cascading water freatures. The pool uses the latest energy, filtration and water saving technology available. Heated. Open from May to October. Overlooking the pool in its garden setting, with modern equipment for a full cardiovascular workout – treadmills, spinning and free weights. 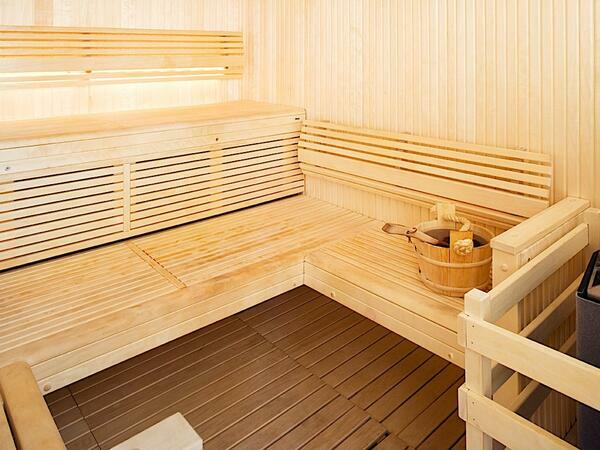 Finish off with a sauna or a few laps in the pool. Adjoining the pool area, our Swedish style Sauna. A perfect way to relax after a workout or a swim in our new pool. Pamper yourself with our large selection of massage treatments. Our professional masseurs and masseuses will help you relax and work out the kinks after a long day’s work or trekking around Jerusalem.